Want iPhone XR / X / XS / XS Max power bank with 18W USB PD? 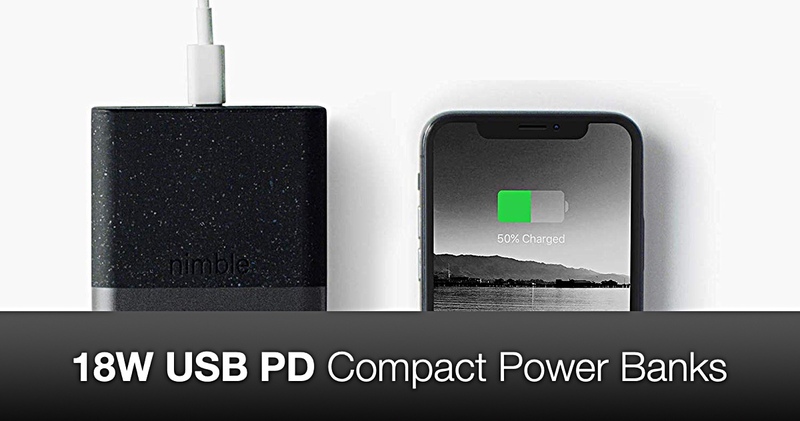 We have handpicked the most portable USB Power Delivery (18W) capable power banks for fast charging iPhone XR, iPhone X, iPhone XS and iPhone XS Max. All of these options are light on the pocket and your wallet. 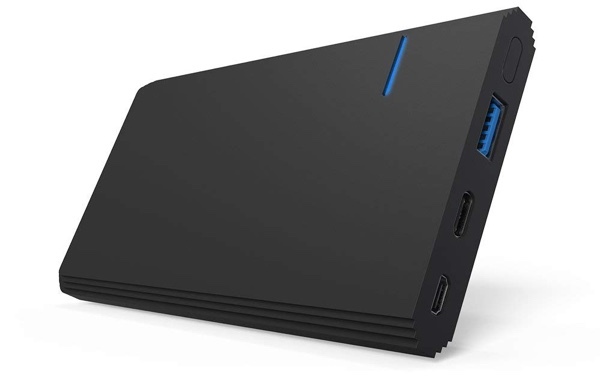 It is somewhat of a trend at this point that USB Power Delivery (USB-C) power banks always emerge out of the darkness with monstrous capacities, sacrificing portability in favor of tons of mAh. Phones these days have started to take advantage of USB Power Delivery and even the iPhone is right up there with the big guns when it comes to fast charging. But the problem is: do a quick search for a USB Power Delivery power bank for your phone and you’ll end up with a product that’s no smaller than a huge banana. Not ideal at all. So, in today’s list we’re going to lay down all the ‘portable’ options in the USB Power Delivery space that can whip out 18W of power, enabling you to fast charge an iPhone XR, iPhone X, iPhone XS or even an iPhone XS Max at full speed. But before you go ahead, please read the note below. Note: Fast charging an iPhone XR, iPhone X, iPhone XS or iPhone XS Max requires a USB-C to Lightning cable, something which Apple currently only makes due to the lack of a MFi Program for it. You can get the cable from here. Furthermore, USB PD at 18W ensures your device will charge from 0 to 50% in just 30 minutes. 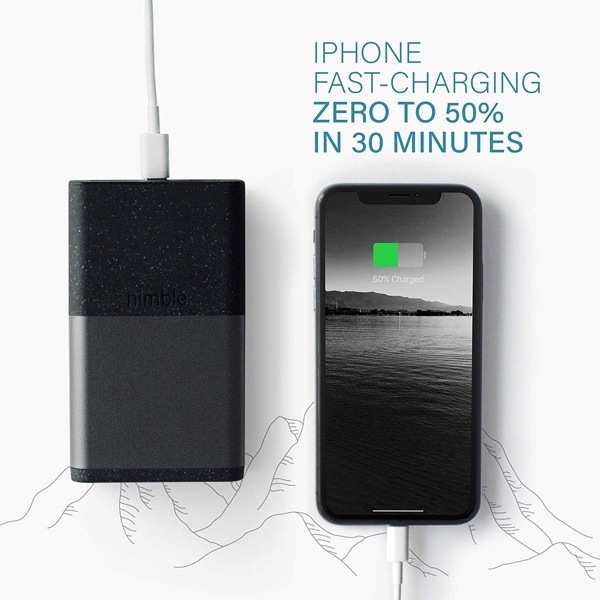 This power bank is exactly what it is described to be on its product page: a portable battery that can push out 18W of power using its USB-C port. But it has another trick up its sleeve – it is Quick Charge 3.0 ready which means that you can juice up your friend’s Galaxy Note 9 at lightning fast speeds too. This option is a little pricey but it has a design that will surely make people turn their heads towards you. It has two USB-A ports for charging regular devices and a USB-C port that can fast charge an iPhone at full 18W. What’s more interesting is the fact that this product is quite compact. Ideal for traveling. 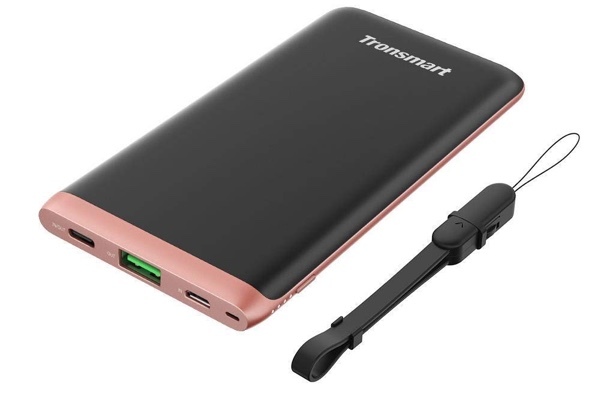 You might not have heard about Tronsmart before but they make some of the best mobile accessories around at extremely competitive prices. This power bank is really, really thin thanks to its unique form-factor and features 18W of USB Power Delivery output which the iPhone needs to fast charge. Sounds about it right, doesn’t it? Last in our list is the option from Hydesen. 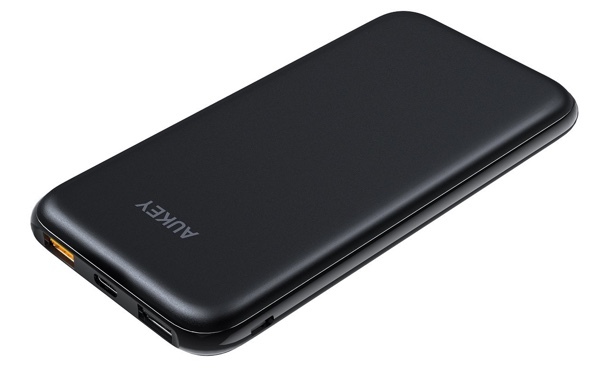 It packs 12000mAh of juice under the hood which means it can charge up an iPhone multiple times at full speed. And yes, it supports 18W USB Power Delivery otherwise it wouldn’t be in our list at all. I was using Nimble but it’s not exactly what i need. I ordered LIFEPOWR A3 and have to say it’s really great. Battery capacity 99 Wh, PD 87Wm USB-C and AC output and recharge time is only 2,5 hours. It’s definitely the best power pack I’ve already had.